Combine oil, rosemary, parsley, garlic, salt, and pepper in a small bowl. Rub oil mixture over the entire chicken. 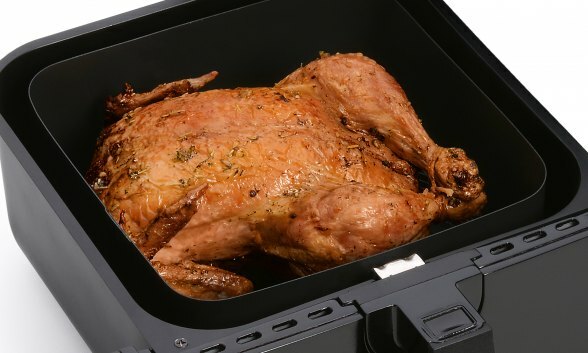 Place chicken in AirDaddy® air fryer basket, breast side down. Cook at 350° for 1 hour, flipping halfway through cooking. Allow chicken to rest in basket for 10 minutes before removing to carve.